Grin, a new privacy-oriented cryptocurrency, has long drawn the interest of cypherpunks. But another group turned out in force to mine on the network that formally launched on Tuesday: investment firms. “We have been watching the whole show today. With maybe the most expensive genesis block one in history,” Dovey Wan of Primitive Ventures told CoinDesk. CoinDesk contacted several investors who were also closely watching yesterday’s launch of the privacy-focused cryptocurrency, which is being developed using the technology known as mimblewimble. Chris Dannen of Iterative Capital, a fund with a strong focus on mining, saw similar levels of interest. “Anecdotally, we know that a plurality of Chinese GPU farms are already hashing on these two networks,” Dannen told CoinDesk in an email (Beam is the other network). Iterative is engaged in Grin mining, Dannen confirmed. The investor, whose firm pooled up with a group of other Tier 1 investors to mine Grin, says “a perfect storm” is stoking demand for Grin. 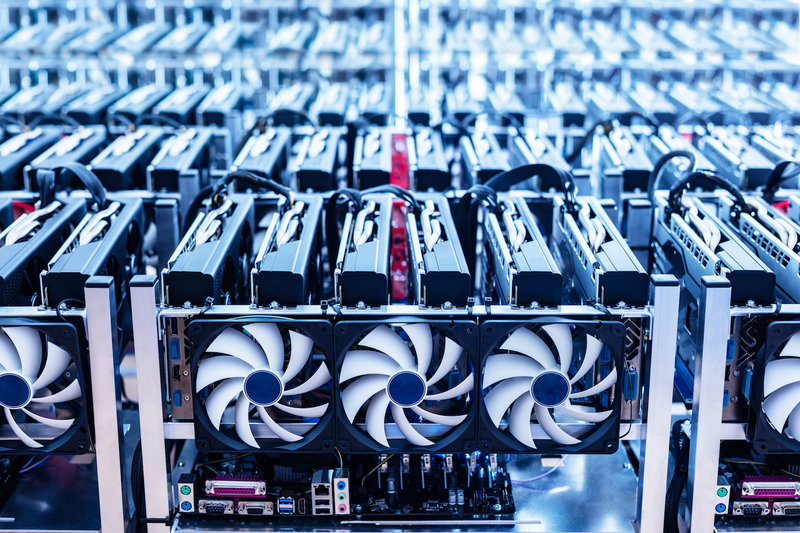 For starters, it’s a technology many early adopters are excited about, and there’s also excess GPU and data-center capacity that miners are eager to point toward the Grin network. The investor highlighted potential downsides, however, pointing out that Grin is designed to be highly inflationary in its first few years. Though it has invested in the ecosystem, Primitive Ventures tells CoinDesk it is not mining Grin. Wan said the economics just don’t look right yet. This is a point that Josh Metnick, a mining entrepreneur, confirmed to CoinDesk. “I would argue that it’s already overmined,” Metnick said. Metnick’s company, Random Crypto, is investing heavily in mining proof-of-work coins, with the thesis that a bear market is the right time to get into this business. That said, he’s also made it something of a personal mission to make the assessment of mining’s profitability more transparent, releasing a new mining return calculator to the public late last year. Nevertheless, there’s been a lot of interest in the Grin platform. Blockchain services startup BlockCypher, which has been a proponent of mimblewimble implementations for some time, confirmed as much to CoinDesk. “There’s significant investor interest,” CEO Catheryne Nicholson wrote in an email. Knowledgeable sources told CoinDesk there were several large funds shopping for hash power in advance of Grin’s launch. But they may be disappointed – while excited about the massive interest in a protocols she finds compelling, Wan doesn’t think the early mining has been a wise move.